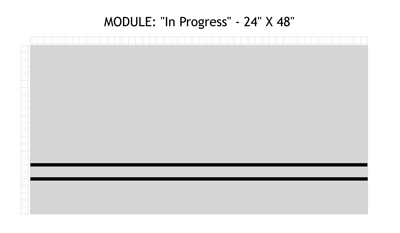 Currently, this module has no permanent scenery. When it is used in the display, it adds to the distance the train travels during the show, and provides space for temporary scenes. Perhaps it will be finished with a permanent scene some day. If you are interested in joining our group, you may want to help with this project, or with other club projects. Construction of new modules by individual club members is also encouraged.